Situated within the heart of St Columb Minor, Cornwall, 20 Bramble Cottage is a detached property in range of beautiful beaches. 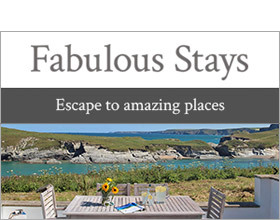 It offers a great retreat for holiday makers wishing to take in the spectacular Cornish countryside. Guests immediately walk in to an open-plan living room, complete with stylish interior. The property also has a mezzanine king-size bedroom on its first floor. The other bed is a double sofa bed which is located in the sitting room. Families who take their dogs, should be aware that next to the cottage is a dog-friendly zone within the local park. So man’s best friend can get all the exercise they need. The village pub is also not too far away, and offers a good selection of food and ales. While the local supermarket is also not too far away. While along a footpath through the nearby fields is the award-winning Porth Beach, which can be accessed by walking between the pub and village church. The town of Newquay is located just over a mile and a half away, and contains several stunning beaches. While Watergate Bay can also be accessed via the coastal path walk. Newquay also has a wide choice of bars, clubs and restaurants when it comes to evenings before returning to the sanctuary of your quiet village cottage. Bramble Cottage makes an ideal location for holidays all-year-round. One mezzanine double-size double bedroom. Ground floor shower room with shower, basin and WC. Open plan living area with kitchen, dining and sitting area with double sofa bed. St Columb Minor is a quiet village off the main road into Newquay, with a supermarket and an excellent local pub, the Farmers Arms. Here, apart from being well-known for their food and local ales, a varied range of weekly events prove most popular. Opposite the pub, is the magnificent village church, dating from around 1430, and the high tower has been a landmark for generations of fishermen. There are many lovely beaches on offer in Newquay that you will be spoilt for choice but, for families, Porth beach takes some beating. A lovely sandy beach with a sheltered aspect being protected by headlands on both sides, it has been a favourite with those in the know for many years. Just over a mile away is the town of Newquay which is known as the home of the UK’s surf scene, boasting three major beaches, the National Surf Centre and an endless supply of rolling surf, making it a watersports paradise!